Whovians unite! 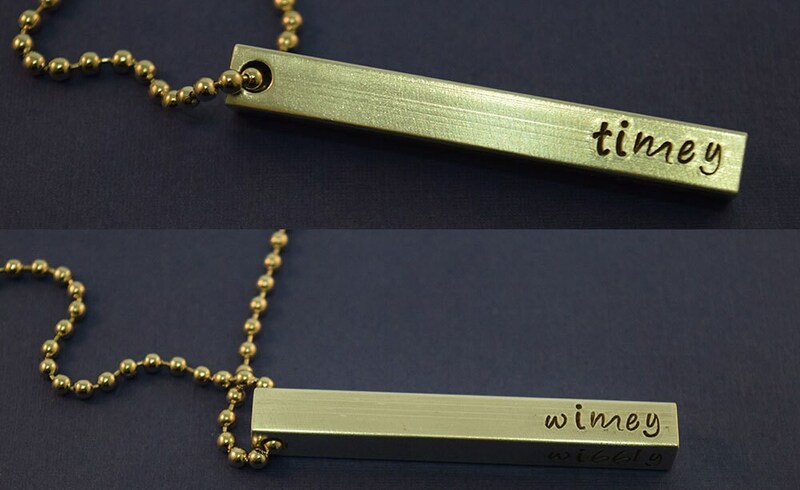 Show off your geeky side with this hand stamped aluminum bar pendant displaying the quote "Wibbly Wobbly Timey Wimey" with one word on each side. The aluminum bar is 2" in length, 1/4" wide, and has a brushed texture. The letters have been darkened with patina. This pendant hangs from a 24" silver-plated ball chain necklace. If you would like a shorter length, please include a note with your order, and I will shorten it before shipping. Like most ball chains, it can easily be cut with scissors if you would like to shorten your chain yourself upon receipt. 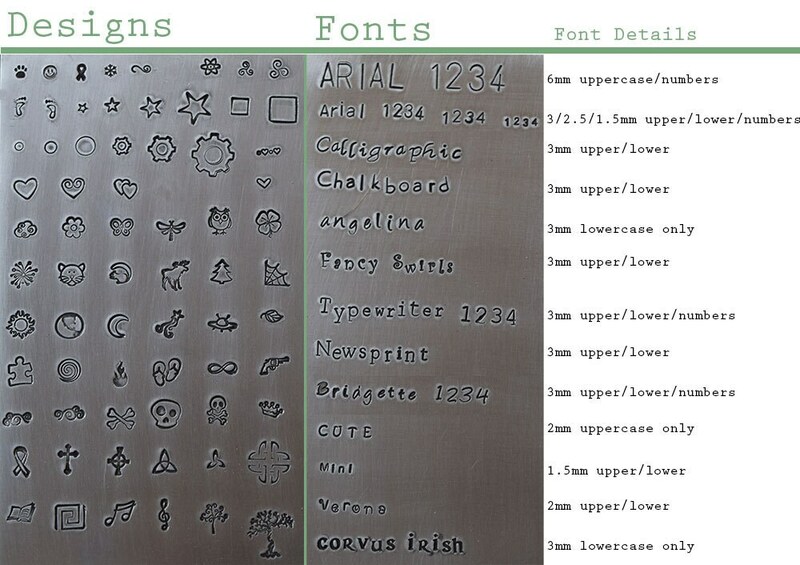 The font used (default font) in the photos is "angelina lowercase," let me know if you would like a different font. 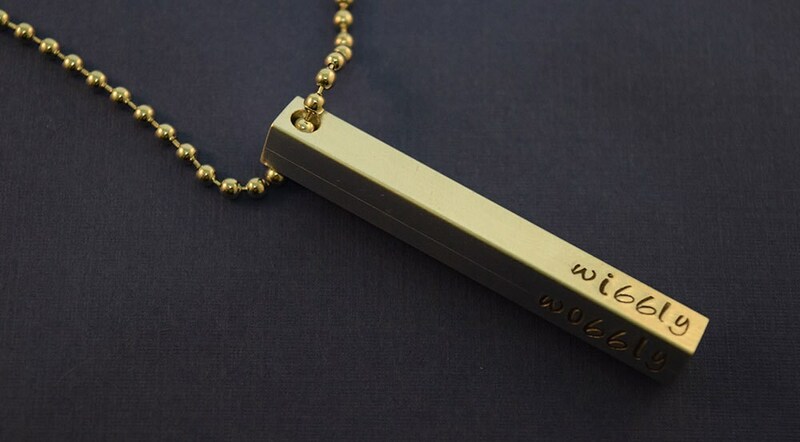 If you would like a custom message on your pendant, please put your request in the comment box during checkout. I bought the necklace as a gift. It's perfect! Lovely necklace had to wait a while for delivery but worth waiting for. Great service, good product. Ours bigger than it seems in pictures but awesome.